Now that we have our perfect RV / Home on wheels, we need the perfect tow car (a.k.a. Toad) to go with it! October arrived and by this time, James and I both agreed that a Jeep was the best tow car for us, hands down. It was a no brainer, really. James was suggesting a Honda CRV at one point, but once we really got into the conversation of where all we would want and need to take a vehicle along our travels – especially abnormal places the RV cannot go, we KNEW we needed something that could handle going anywhere we wanted. I mean, we are ready to venture out into the unknown and explore, therefore we need the appropriate vehicle for us to do just that. 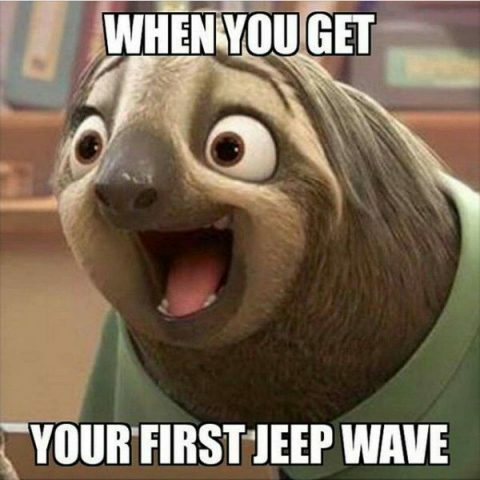 Now came the research to find us the right Jeep! Fun Fact: In the midst of the tow car choice conversations and researching, James got a wild idea that we didn’t need one at all! Thankfully, that idea was fleeting because it was admittedly terrible. hahaha!!! We knew that we wanted a two door and pre-owned – 4wd was an obvious must have as well, I mean what is the point of having a Jeep if it doesn’t have 4wd? It did not take long at all (about two or three days) before we found a couple strong options to consider and they were both in the Orlando area. James spoke to the two different dealerships about them and then he stopped by to look at one on his lunch break one day, as it just happened to be near his office. 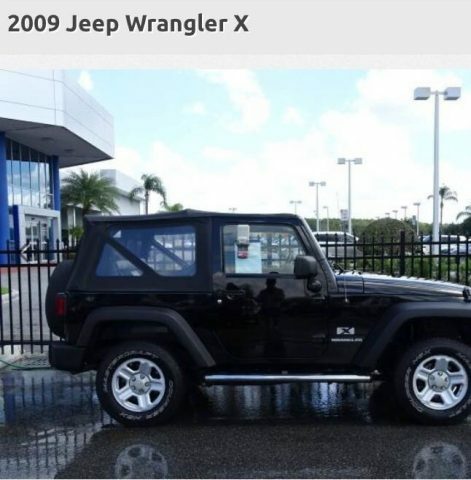 It was a black 2009 Jeep Wrangler with relatively low mileage and in better shape than we had expected. He returned later that evening to get a closer look, take it for a test drive and see what numbers he could work out, all the while keeping me updated. I went to the dealership the next day after work to take a look at the 2009 Wrangler and took it for a test drive myself. It was SO nice getting behind the wheel of a Jeep. 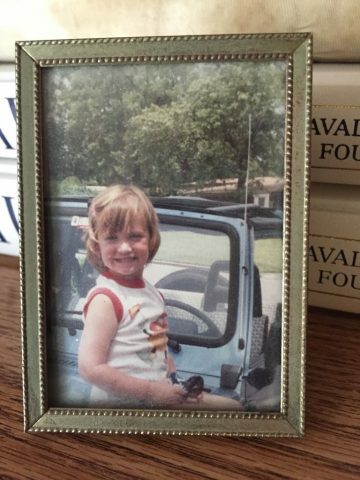 I grew up with a couple Jeeps in the family and it was always a fun car – especially for beach days and such. James met up with me at the dealership to check it out again and see what my thoughts were on it. The mileage was good for its age, it was in good condition aside from the drivers seat needing a little work and the soft top was a bit weathered, but we knew we would eventually upgrade to a hard top so that wasn’t much of an issue for us. We knew that the other dealership across town was still open so James gave them a call and we decided to run over there to check the other Jeep out since we were both available to do it together at this point. The moment we arrived, it felt sketchy. We easily noticed which Jeep was the one we were interested in looking at, as this one had more upgrades done to it, including a lift, so it was harder to miss. We were eager to see it for ourselves. It did NOT look appealing in person once we approached it though – AT ALL. This thing was covered in tacky, cheap red stickers to make it look like custom work had been done on the interior and exterior, it had neon lights – let me repeat…NEON LIGHTS, Harley Davidson logos and tribal scribbles slapped all over it and it smelled terrible when we sat in it. It really wasn’t all that great everywhere else either. We looked at each other and easily communicated silently that we needed to get the hell out of that dealership, so we did just that and we returned to the first one to have another look and a serious talk about numbers with the sales team to see what they could make happen for us. Long story short, we bought it that night. Definitely weren’t planning to, but we did! We decided the best move was to trade in James’ Tacoma and hold onto my Jetta until we were ready to hit the road and then sell it. It was a good plan and even though it was hard to empty out the Tacoma and drive away from it, we were happy that we accomplished another thing to get us closer to our big goal. Myself, I couldn’t wait to use it on weekends!